Should school quality and spouse employment help decide where troops are based? A high-level Defense Department council has elevated the issues of military spouse employment and quality of education for military children to the attention of Secretary Jim Mattis, recommending that these factors be important considerations when making strategic basing or mission alignment decisions. The DoD Military Family Readiness Council, which voted Wednesday to include the recommendation as one of six being sent to Mattis, echoes comments by the service secretaries in a joint letter sent to the National Governors Association on Feb. 23. The secretaries encouraged state leadership to look at the quality of schools near bases and whether reciprocity of professional licenses is available for military families. They also noted that they will encourage leadership to consider these issues when making future basing or mission alignment decisions. It’s time to get a “line in the sand,” said one official, and create quantitative measures of these two facets, then use them in making strategic basing decisions. “This discussion has come to sort of a head here,” said Carl Buchanan, a policy analyst for the Air Force Airman and Family Readiness program. He was sitting in for council member Air Force Brig. Gen. Kathleen A. Cook, director of Air Force Services, who submitted the recommendation. Buchanan cited the service secretaries’ letter. The family council and multiple other groups have been examining the issues of spouse license portability and quality of children’s education for years, and trying to make changes which could improve the lives of military families. The recommendation would be “a separate checkpoint that says, OK, we’ve reached a certain decision area here. All the service secretaries agree we still haven’t come up with a perfect solution or the best solution for our people in the field that helps us retain them,” Buchanan said, noting that family issues are a big part of a service member’s decision on whether to stay or leave the military. There would some measure of the quality of efforts related to spouse licensure portability, and the quality of public schools, “when we look at where to put our people when we ask them to go serve there,” Buchanan said. Some military kids have been barred from service because of the contents of their dependent medical records. The group, which includes enlisted leaders and other high-ranking personnel, wants to know how those records are accessed and used. The council’s recommendation related to spouse employment includes a variety of elements, such as a request to study the effects of continuous relocations on military families, and opening tuition assistance for use by both service members and their spouses who want to pursue professional licensing and technical certifications. The council recommended publishing guidelines and policy for strategic basing assessments which would include these issues. Issues of spouse employment, including the transferability of professional credentials, are a “widely held concern of many soldiers and family members,” said Sergeant Major of the Army Dan Dailey, a council member who submitted a related proposal along with Cook that is included in the recommendation. 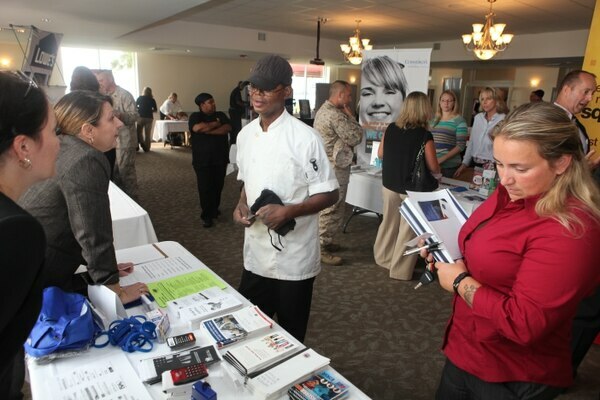 It calls for DoD to continue working with the Labor Department and other entities to break down barriers that limit spouse education and employment opportunities. Their proposal also calls for opening tuition assistance to both service members and spouses for pursuing professional licensing and technical certifications. State regulations and laws are beyond the control of DoD, although the DoD State Liaison Office has been working to educate states about the hardships military spouses face when they move from one area to another. Many spend time and money to get re-credentialed so they can continue employment in their field, whether they are attorneys, hairdressers, nurses, teachers or in a host of other fields. Some states have changed laws or regulations to allow temporary licensing, expedited licensing and/or reciprocity of licenses with other states. The council recommended an assessment of the success of these efforts. Inconsistent quality of education in public schools near military bases has also been a concern for military families for years. 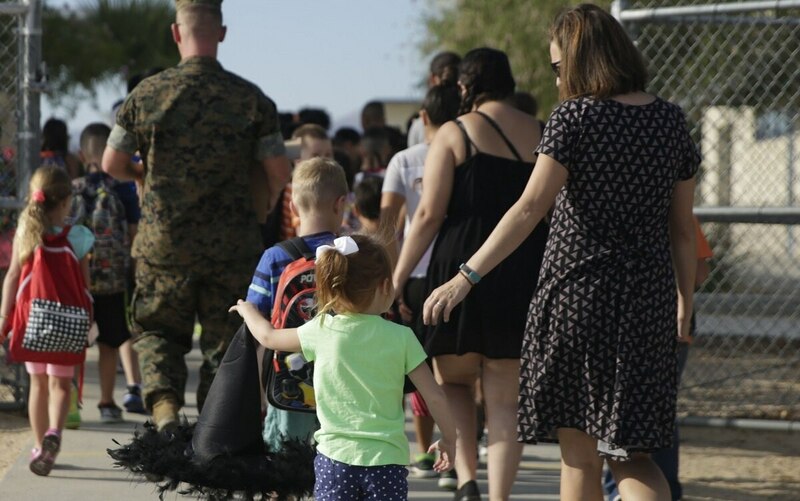 The Interstate Compact for Educational Opportunity for Military Children has made strides in addressing a number of transition issues for military children moving from base to base, but it doesn’t address the quality of schools. Require the services to report on their policies and processes regarding access to and evaluation of military dependent medical records when that former military dependent enters the military. Revitalize the Family Child Care program to meet increasing child care demands. Require a report on the progress on common metrics for assignment coordination used in the services’ Exceptional Family Member Programs; improve EFMP standardization; and evaluate access to medical and special education resources for special-needs families with a family member on the autism spectrum stationed at Joint Base Lewis-McChord, Washington. Continue to support efforts to work with community organizations to help military families gain access to a broad range of resources, services and expertise. Revisit and agree on a precise definition of “military family readiness” from a “life course” perspective and from the perspective of current and near-term future of DoD and military service initiatives.